It’s a sad state of events when we have to rely on bystanders to record the daily police actions which go against the “protect and serve” motto they sport. Not to state that many police actions aren’t needed, but there’s still a massive gap between their purpose and what they’re currently doing, as you can see in the video below. A young black teen was riding his bike along the sidewalk with his friend when he was stopped by a female police officer. She kept asking him for some identification and he declined to do so, as she wouldn’t give him a proper reason as to why she needed it. 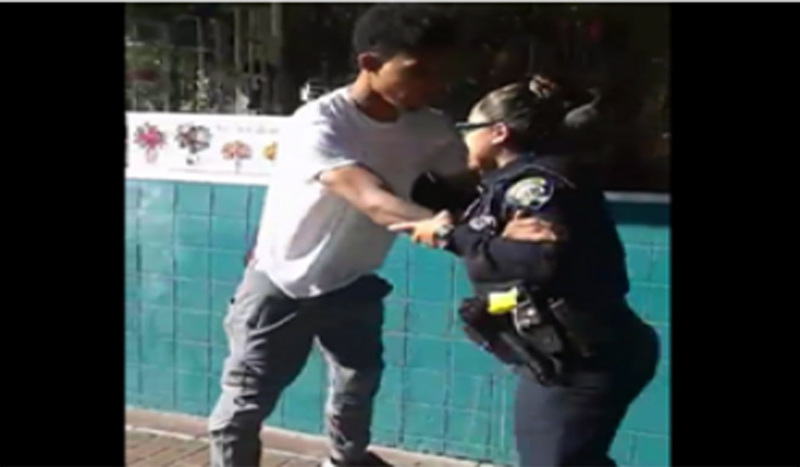 That seems to be a very good question to ask in my opinion, giving the circumstances, but her answer was the same basic answer most stumped police officers have – she decided to arrest him. I won’t ruin the surprise as to whether or not he makes a getaway, but outside of that I feel there’s a serious question that needs an answer: why are the police arresting people on the spot when their actions are questioned?